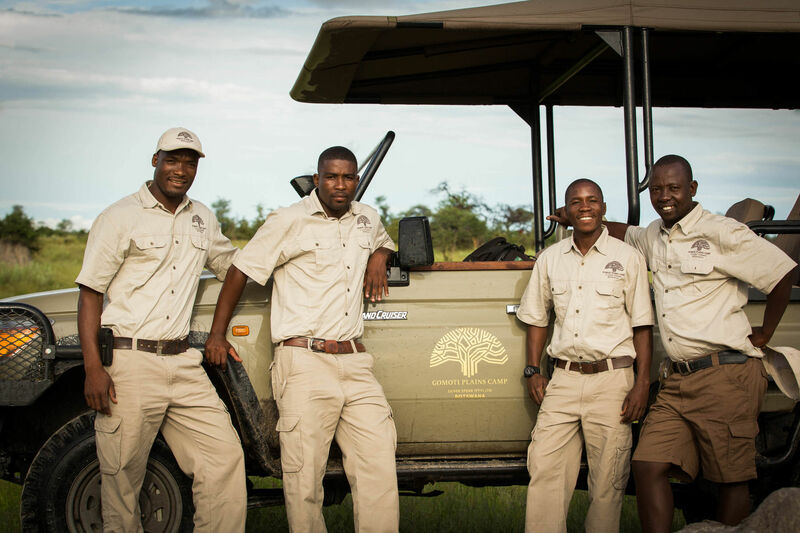 The Gomoti tree is locally known as the water fig and grows alongside waterways in the Okavango delta. It’s a smallish tree which sometimes grows no bigger than a bush. The Gomoti trees line the waterways and provide excellent cover for nesting water birds such as herons and storks. 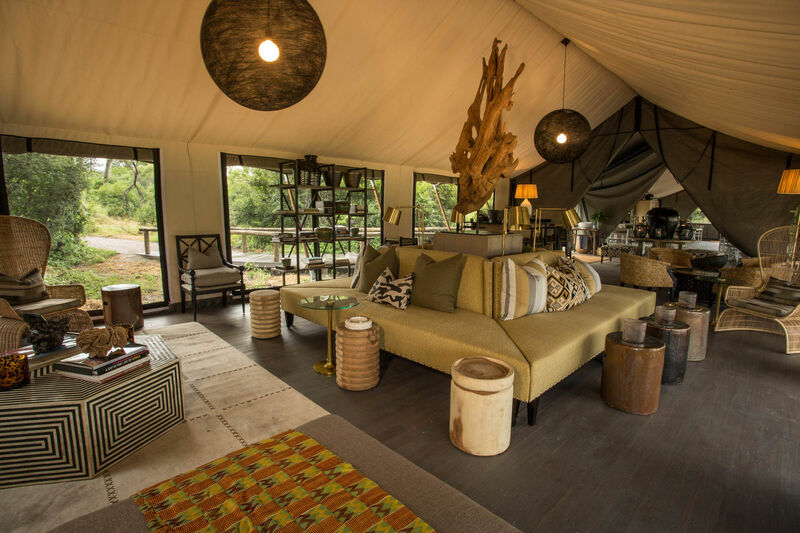 Gomoti Plains Camp is waiting to spoil guests with its classical comfort and amazing wildlife. 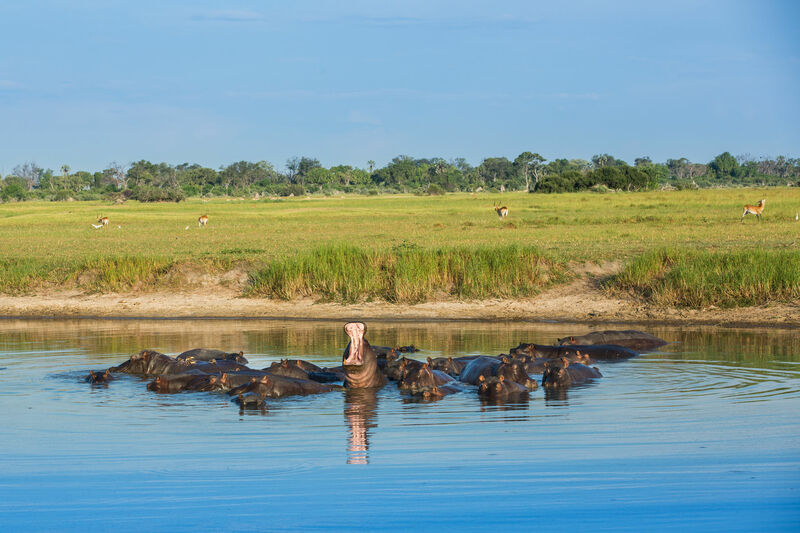 Travel the waterways by motor boat and mekoro and traverse the Gomoti plains enthralling in the dense wildlife concentrations of the Gomoti area. 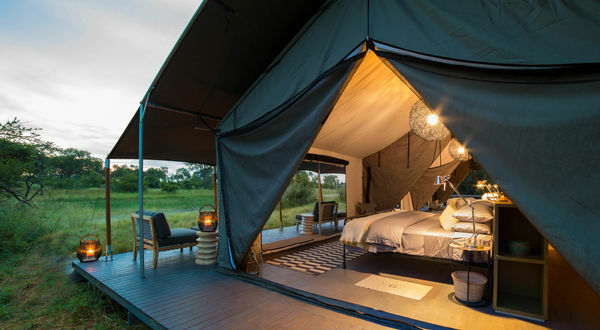 Gomoti Plains Camp is located just 18 km south-east of Chitabe Camp in the exclusive community area of Gomoti Private Concession which is a large community run concession, in the Okavango Delta. 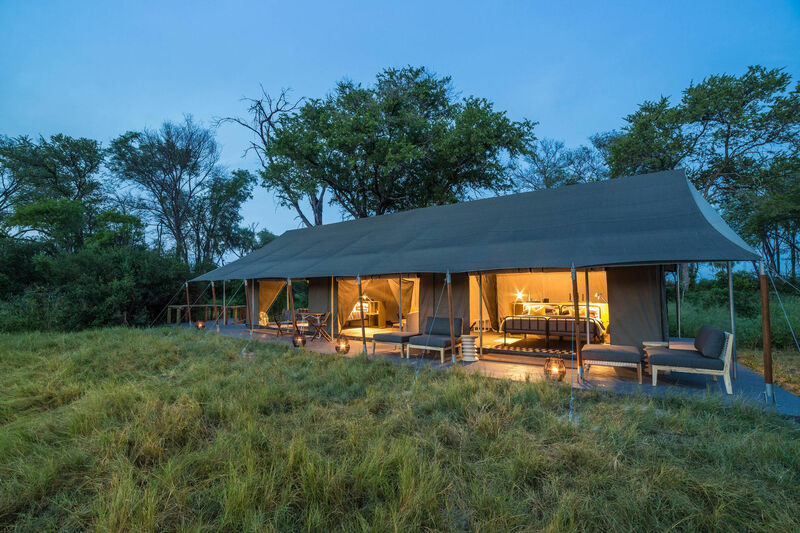 The Camp is situated on one of the smaller flood plains along the Gomoti River system. 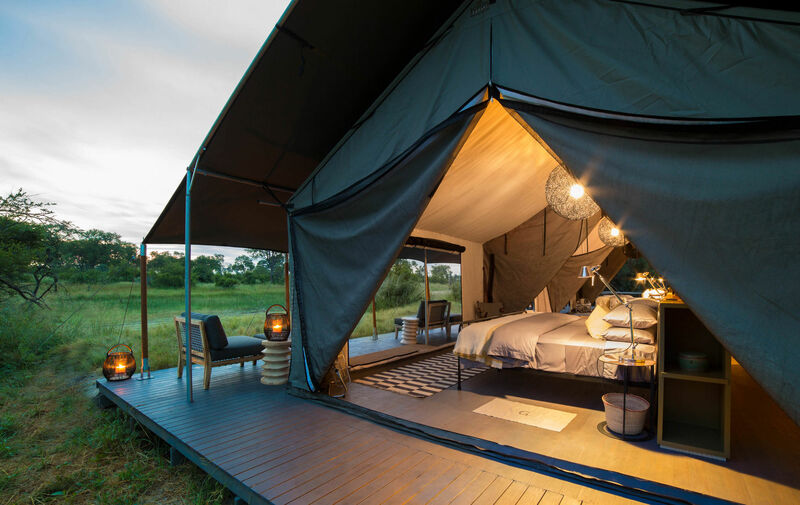 This wild and pristine area has over the years produced some phenomenal wildlife encounters including the filming and studying of the African wild dog packs which inhabit this area. 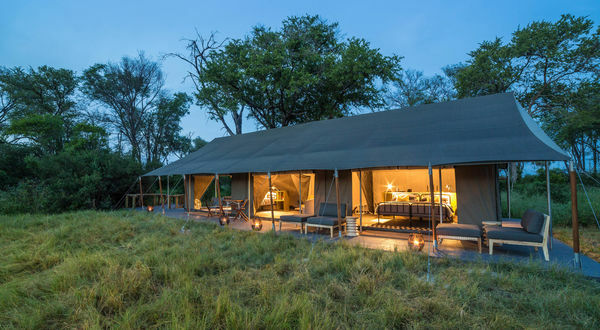 Ten luxury safari tents, two of which are family units. 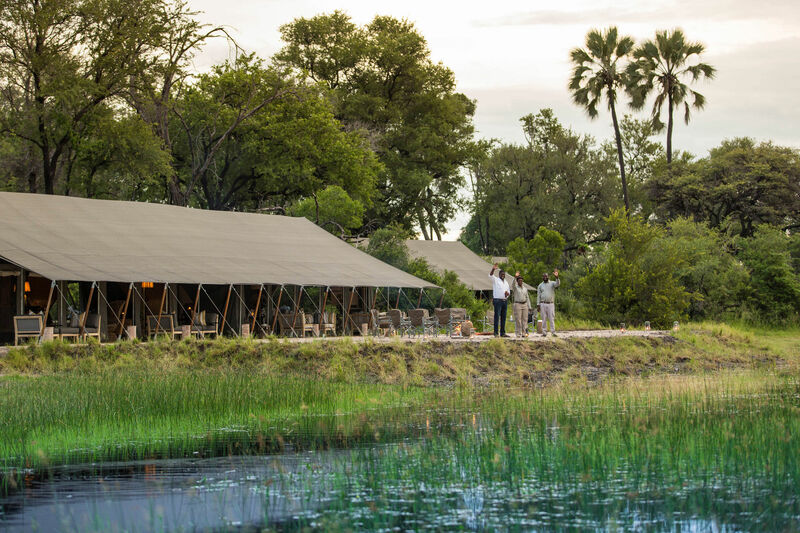 These large tents are raised on wooden decks as are the main areas of the lodge. 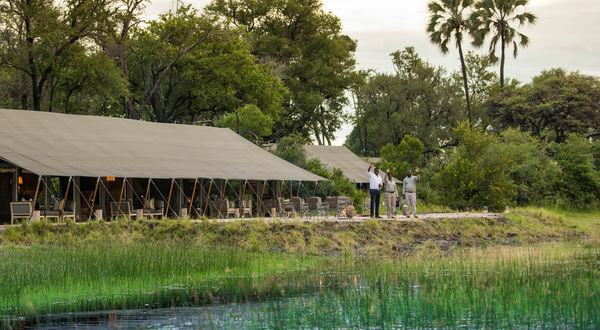 The tents are decorated in a classic safari style incorporating the land and water of the Okavango delta. Luxurious, comfortable, classic. 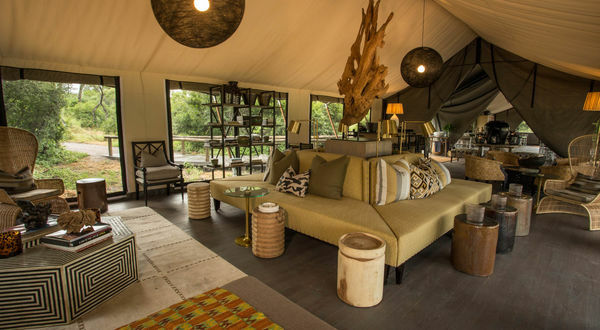 All eight double tents take two guests and the two family rooms can hold four guests. All rooms have hot and cold running water, inside and outside showers, flush toilets and twin his and her basins. 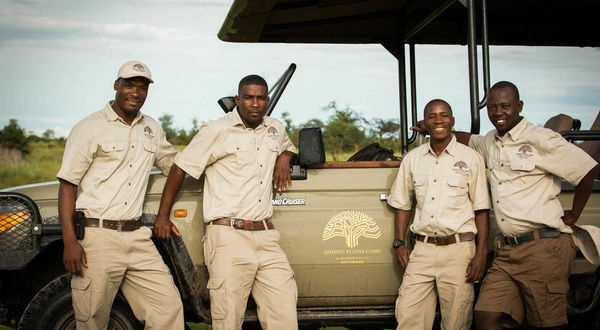 Game drives are conducted in the mornings and afternoon/evenings at camp. 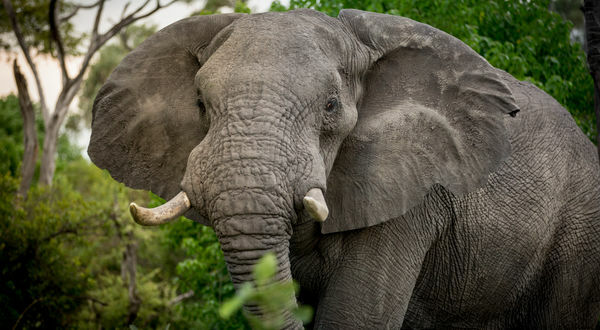 They usually last about three hours each and are conducted along the river systems and flood plains around the camp. 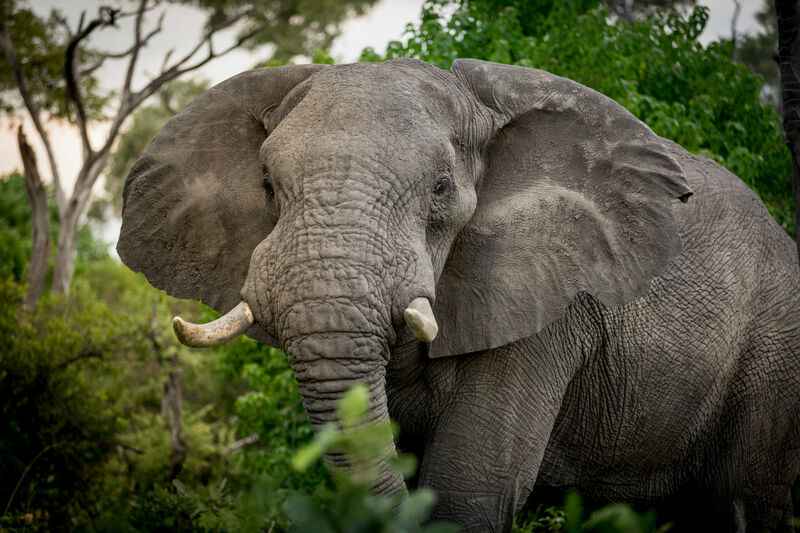 The wildlife in the area is prolific and chances are good to see some of the larger predators, herds of elephant and buffalo and all the plains animals that occur here. 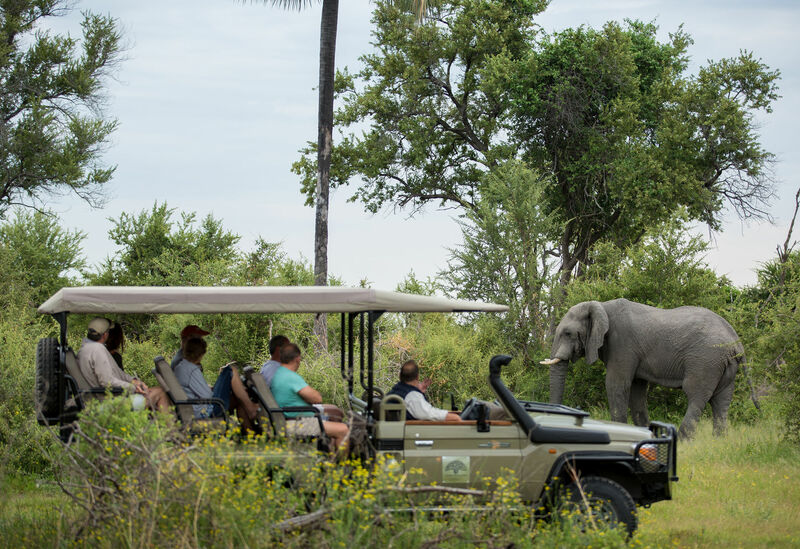 Night drives are conducted in the early evening offering one a chance to see the smaller more nocturnal animals with spotlights. 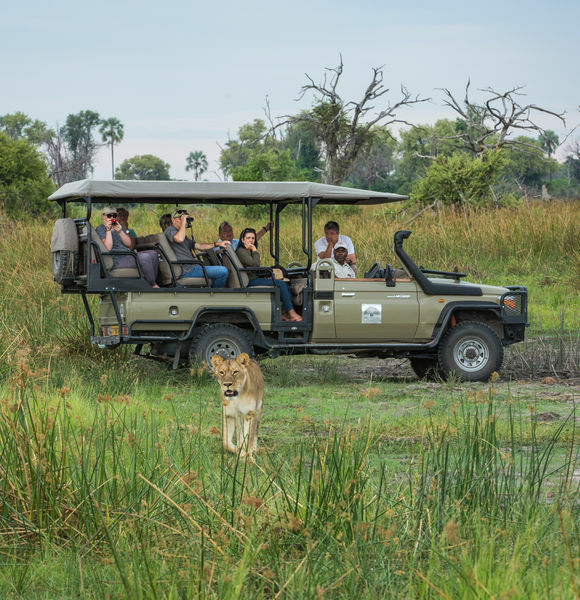 Walking safaris are also conducted generally in the morning with armed guides. 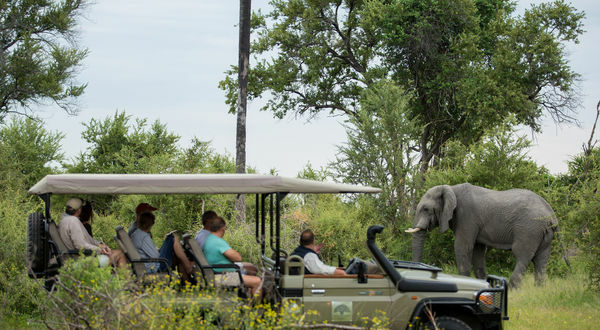 The walks are leisurely and time is taken to observe the smaller things in the bush that one normally misses when driving. Walking is weather dependent, or dependent on the condition of the terrain. 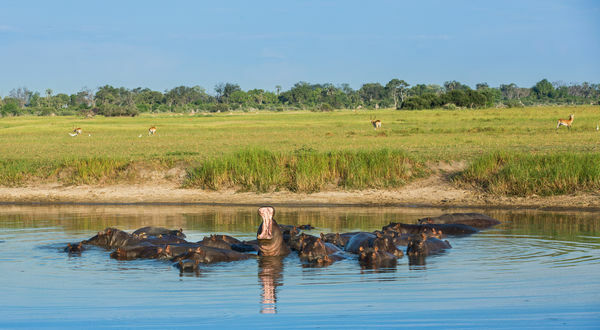 This is a dug out canoe poled by an experienced poler in the shallower waters of the Okavango. It is a great way to see the waterways and is tranquil and quiet. These excursions take place in the mornings or longer day trips can be arranged. Explore the islands around camp and come back rested and rejuvenated. Typically in a motor boat, on the main Gomoti channel (water dependant).